“Hay is for Horses!“…..and COWS and BUNNIES and BEDDING too! While horses are naturally grazing animals, when they are stable or limited in their grazing abilities, high quality hay is an excellent substitute for grass naturally eaten. 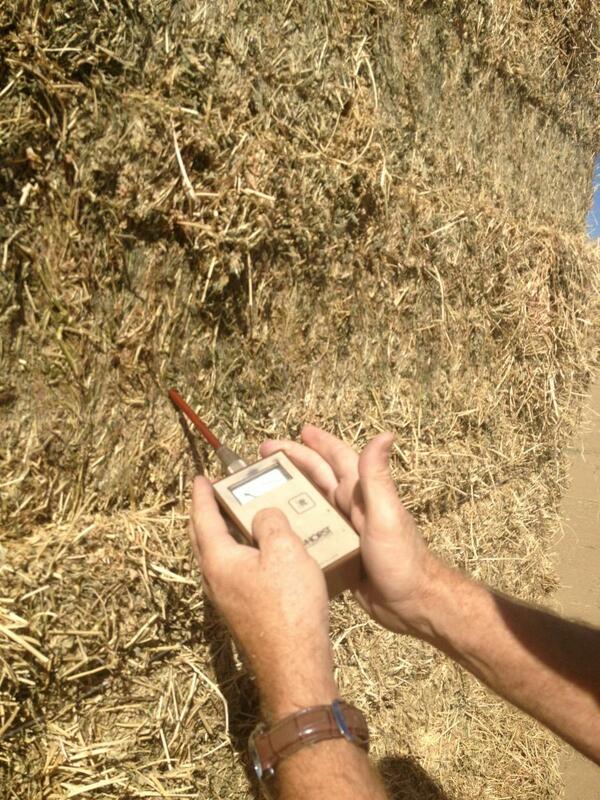 Quality hay is a mixture of grasses dried until about 15% of the moisture remains. It is a good source of protein and calcium and is a very palatable feed. Many hays are harvested from grasses and include alfalfa, timothy, clover and rye. Discerning horse owners advise that Alfalfa Hay is a top choice to feed your horse. But of utmost importance is that you choose a quality hay. North Bay Hay and Grain can put those concerns at ease for you as only the highest quality hay possible is bought and passed onto the consumer. Danny Winters personally selects all hay that ends up in the consumers barn. He understands that the most nutritious hay is cut before the seed heads have fully matured. A horse needs large amounts of fiber to keep their gut healthy and digestive system functioning properly. Grass and hay should be the predominant type of feed in a horses diet. An antique baler in action!